All our trucks come with a 2 man crew to remove the debris from the property who do all the lifting of rubbish/debris / junk and load it into the truck. If you need for us to pack bags provide dismantling of any kind, there will be a per hour price at $30.00 per hour per man. Our trucks carry a max load of 24 cubic yards which is considered to be 1 and a half load. The more junk you have, the less we charge. 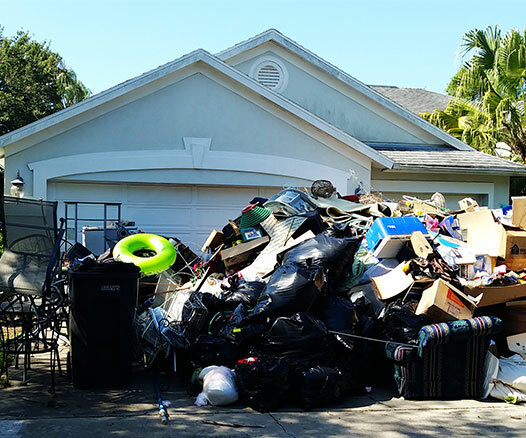 We provide same day junk removal service throughout all the boroughs of New York City including Brooklyn, Queens, Manhattan, Staten Island and the Bronx. Still confused about our pricing structure? Call us today for a free estimate!